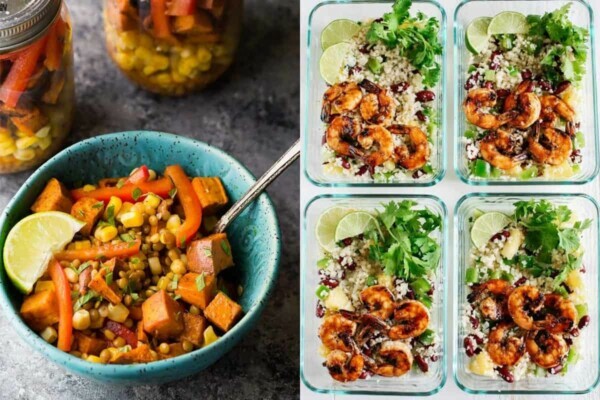 These 38 easy lunch meal prep ideas prove that eating healthy can be delicious and is anything but boring! 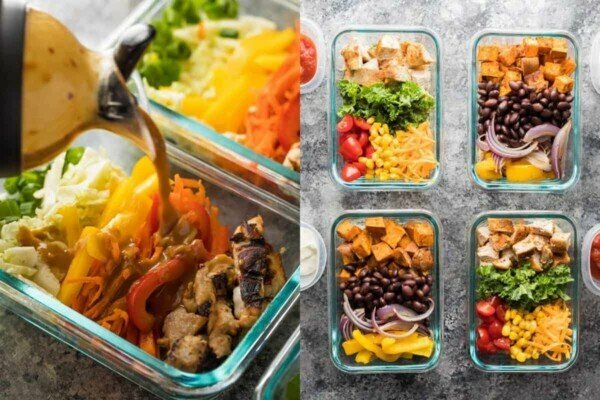 A little prep work on the weekend will set you up to eat healthier, save money, and reduce your stress through the week. 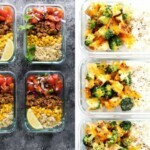 We have really committed ourselves to breakfast and lunch meal prep this year and it makes an absolute world of difference in saving us time in the mornings, reducing our stress, and saving us money. 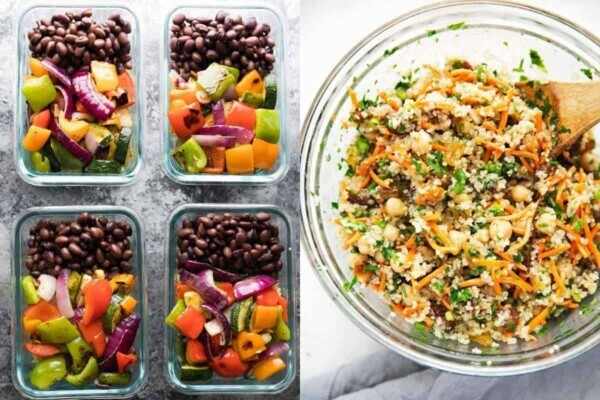 We don’t even consider buying lunches, because we just reach in the fridge and pull out our pre-made lunches and we are good to go! 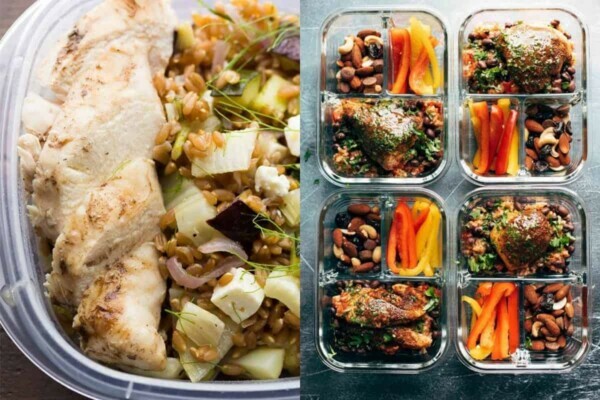 Watch the video below to see exactly how I prepped four of these Lunch Meal Prep Ideas. They are so easy! You can find more of my recipe videos on my YouTube channel, or on Facebook. RELATED Top 10 Posts of 2015! 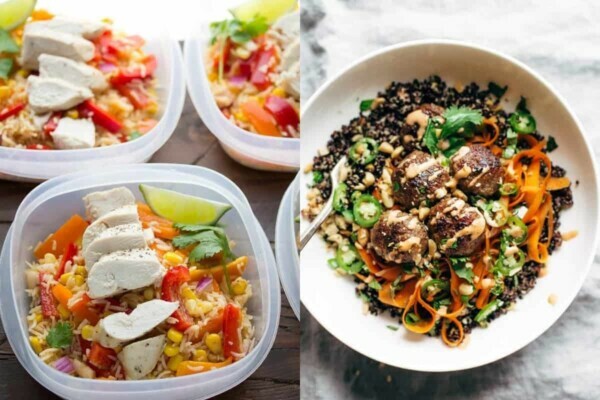 These Easy Lunch Meal Prep Ideas go hand in hand with these 28 Healthy Breakfast Meal Prep Ideas and these 17 Healthy Dinner Meal Prep Ideas. 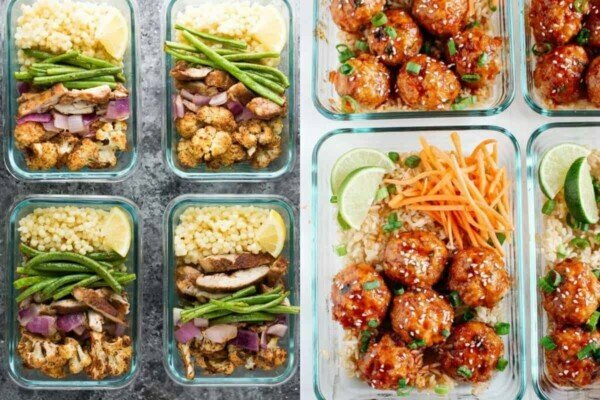 Today we’re talking lunches…tons and tons of great lunch meal prep ideas that you can make on the weekend! Thank You So Much!!! For Sharing This Amazing recipe. 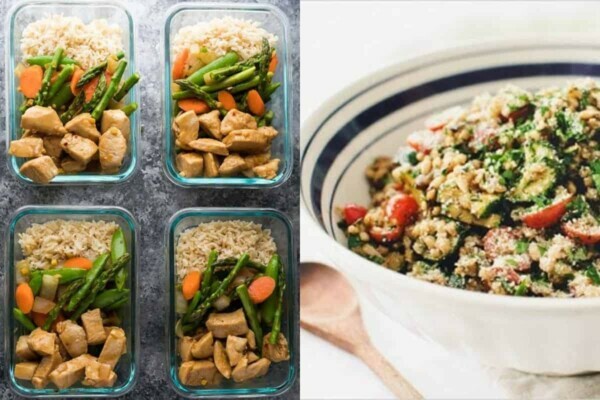 What’s the difference between these meals vs what’s on your ebook? How long are you cooling the food? How long do the items keep? Should they be frozen? 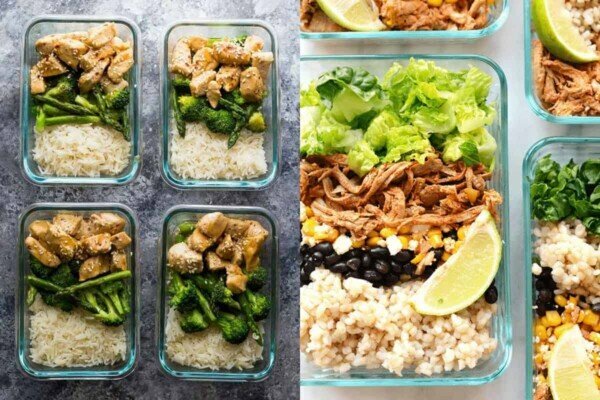 Hi Lina, when meal prepping, always cool your food and get it into the fridge as quickly as possible, particularly with rice. It shouldn’t be left at room temp for more than 1-2 hours. These look delish!! 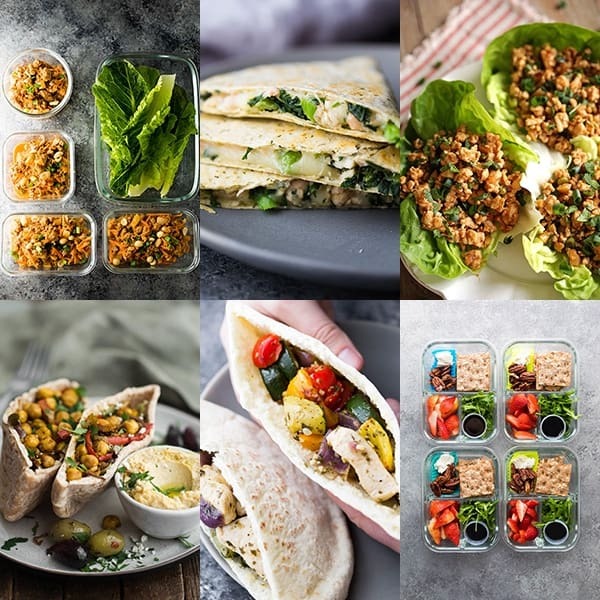 we are loving trying new healthy recipes atm I plan on making all of these, they’re great inspiration! 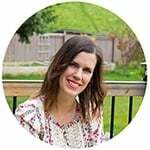 I try to meal prep at home but it’s tricky sometimes with a husband and kids to feed! Everything looked great! Thanks so much! 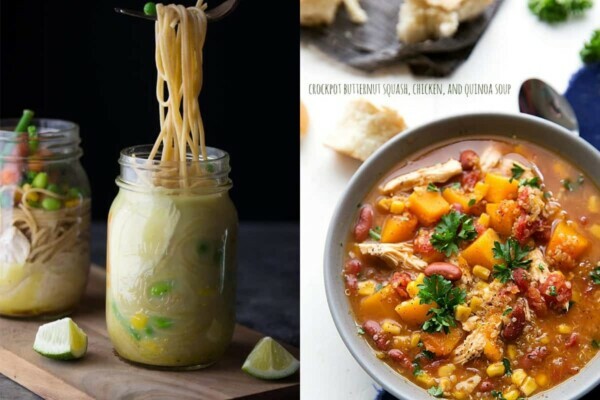 I hope you find some recipes you enjoy! 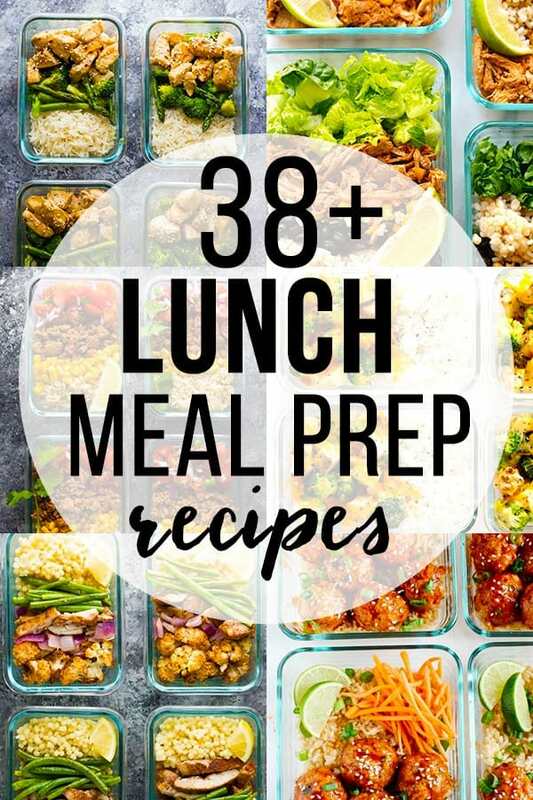 Hi are you able to reheat some of these lunches as my so. 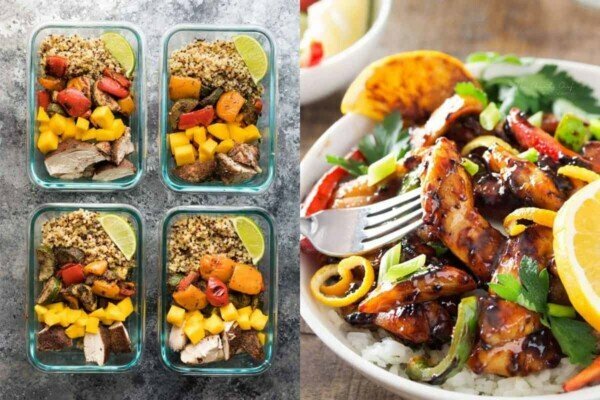 Wants to meal prep but hates cold food thanks? Hi Nina! Yes, many of these recipes can be reheated. I would refer to instructions for each recipe. 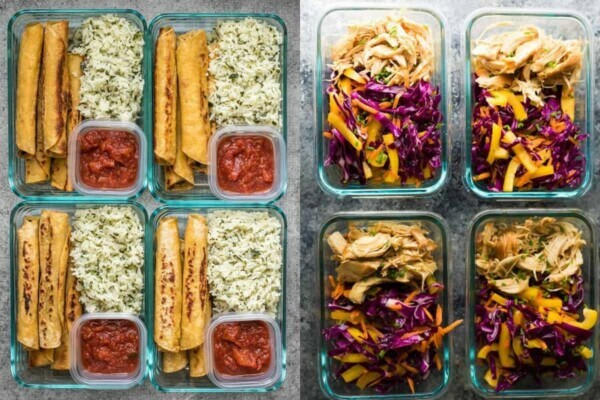 I always include instructions for how to serve my meal prep recipes! All of these look amazing! Thank you so much for sharing them! Now I’ll have a hidden gem in my pocket when I’m out of ideas for dinner. Thank you, Denise! I’m thinking about trying Mediterranean Farro Chicken. Tried to open the recipe but the link seems to be broken. #17 and #19 links are also broken. Would love to see the recipe of Mediterranean Farro Chicken when page is fixed. Hi Jane! Thank you so much for bringing that to my attention! All links are fixed now! Wow…so good. Very tasty! 02/04/18…made this again and I always make in crock pot on high for 5/6 hours. I couldn’t find boneless at the time. The meat falls off the bone. I use all ingredients and add garlic and they are so good. I’m making again and again. People do not freeze unless You are making ahead of time and Do Not put Frozen in crock pot!!!! Thaw out in refrigerator first, then place in crock pot or Dutch oven pot which ever you are you using. I use a Crock-Pot. Alot of people have large families or a party to prepare for. That all it’s saying. ?? ey Thanku you so much. diet food ideas and you just cleared my negative thoughts. Thanku you so much once again and keep sharing with us. Hey, thanks for the ideas. I am surely going to try these. I hope you find one you enjoy! Can’t wait to try some of these recipes, I was just wondering how well they freeze? 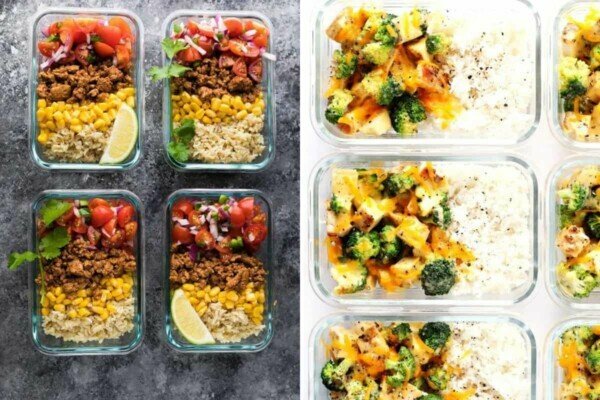 I want to meal prep on Sunday for my lunches for work through out the week. Hope you find a recipe you enjoy! 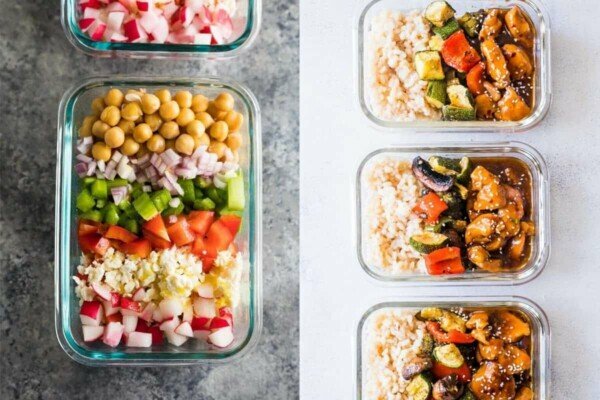 I became a vegetarian recently and I was wondering if there are any alternatives for the chicken or any meat in the meal prep challenge coming up. Hi Rebecca! Yes, there will be swaps suggested to make them vegetarian and even vegan 🙂 So happy you’re joining us! Wow! I’m loving this! My friend and I always struggle what to prepare for lunch and dinner. These look heavenly and beautiful! I’m going to begin my first year of instructing, and I’ve been worrying over get ready sound snacks and pondering sustenance prep for every week. These are absolutely delicious looking! Some of the links are covered by ads though ? Wanted to just let you know. Oh no! Thank you for letting me know! Are you on desktop? I’m new to the meal prepping game. Do you freeze them all, or leave some in the fridge? I have no idea how long they will stay good! A couple of these recipes do seem light they would be tastey. To bad you don’t have anything listed for calories. I’m week 4 on my diet. Where can you find the Cajun chicken? You just use regular chicken fillets and you have to make the sauces your self. 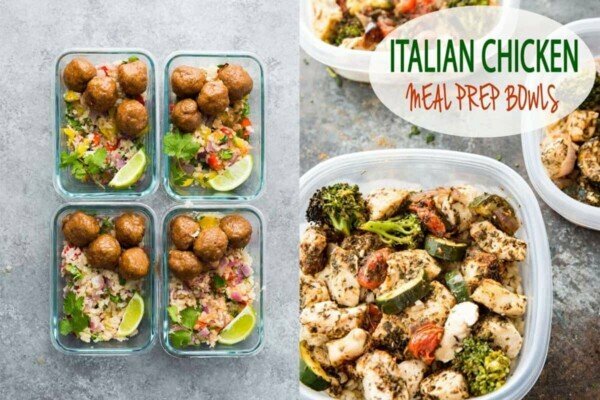 I just found these ideias and today I prepared 3 different meals, because I don’t have time enough to prepare a different dish every single day. 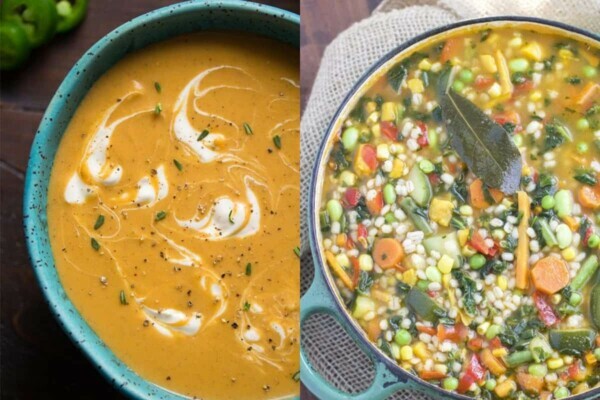 Me and my hubby loved them, but the garden veggie barley soup is to die for. SWOON! 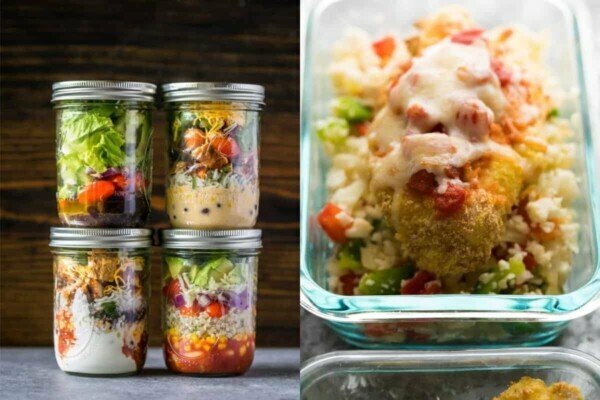 These all look amazing… and that instant noodle in a jar recipe is a great idea!! Thank you for all the great ideas. I now feel like I can keep going even though the challenge is over.